Geocaching – The Free Worldwide Treasure Hunt You Didn’t Know Existed! 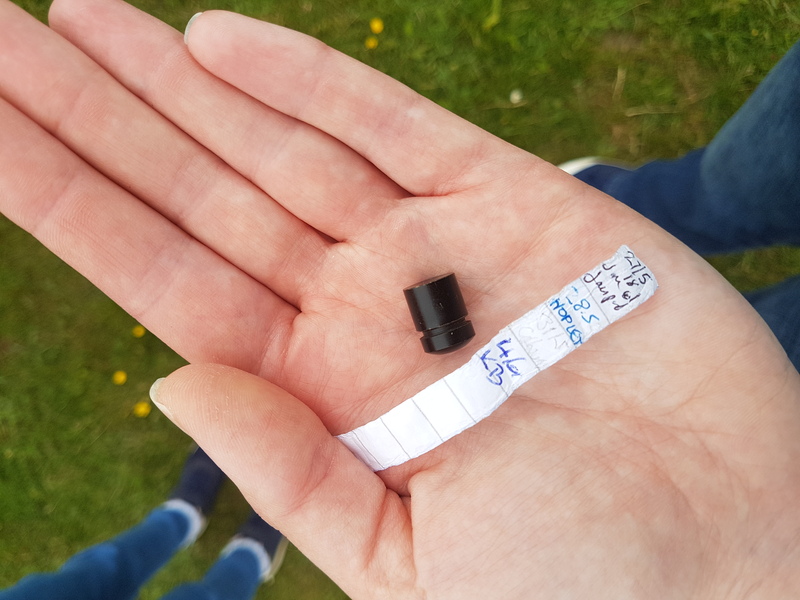 Some geocaches are tiny (like a 35mm camera film cannister). Some are much larger (such as a tupperware tub). The smaller ones only have a log book, but bigger ones contain little items such as hair clips, keyrings, eraser, marbles, etc. This is where the treasure hunt element really comes in to play. If you take something from the cache remember to replace it with something of equal or larger value. Trackables can also be found in the geocaches. These each have a unique code so you can log their movements online. It is up to you to move them from one geocache to another and log its movement. The owners sometimes set goals such as visiting every country in Europe. By logging where you have moved it to online the owner can see how far it has traveled. Ok, so what do I need to go geocaching? Basically you just need a GPS device or GPS-enabled mobile phone to help you navigate your way to the co-ordinates of the geocache location. You also need to sign up to http://www.geocaching.com which is free of charge. Once you’ve signed up you simply enter the name of the town/city you are in and a list of all the geocaches in the area will come up. You can also view these on a map which is great for planning a route to follow if you want to find several geocaches. You will be amazed how many geocaches you have walked straight past without even knowing they were there! Try to open the geocache without any ‘muggles’ seeing you (non-geocaching people). Why should I go geocaching? Why not?! It’s a fun outdoor activity that’s great for getting some exercise and enjoying nature while also having fun! The whole family can get involved. My kids get so excited hunting for the geocache and the sheer joy when they find it is awesome. It’s challenging, thought provoking and can lead you on some great adventures. You can find places you never knew existed right on your doorstep! 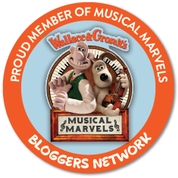 Alternatively explore and discover an area you’ve never been to before. It’s a great way to spend quality time together as a family and make some fun childhood memories with your kids. I guarantee you once you’ve found your first geocache your whole family will get the bug for it! It’s a great way to pass the time and doesn’t cost a penny! Wow! What an awesome idea, my son would absolutely love this! Geocaching is a great family activity. Great when you are away somewhere new too! 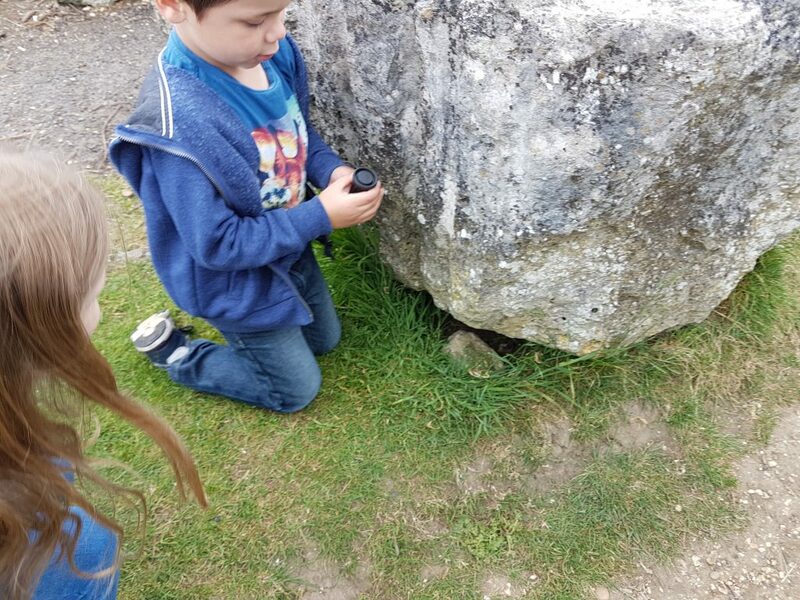 Geocaching is great when you are away on hols too in a new area – great for exploring! 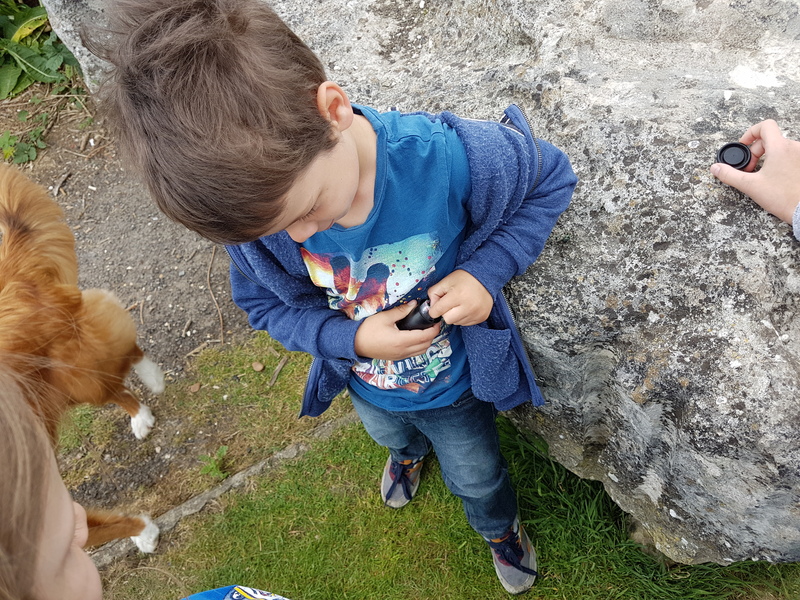 We love geocaching – we started when C was about 3 and now he’s 8 he gets much more involved in trying to find the cache – whenever we visit a new area we look for a few caches to find. Love, love, love geocaching. We went out this morning and found a couple actually. I love that it takes us places we wouldn’t normally go. Hubby bought me a stealth cache set for my birthday so we’re going to have a go at placing some of our own in the coming weeks too! My husband loved geocaching, I should probably join in and have a family treasure hunt! This looks great! I’m always on the lookout for a free holiday activity. Will investigate!